The agriculture system is under pressure to increase production every year as global population expands and more people move from a diet mostly made up of grains, to one with more meat, dairy and processed foods. This book uses a decade of primary research to examine how weather and climate, as measured by variations in the growing season using satellite remote sensing, has affected agricultural production, food prices and access to food in food-insecure regions of the world. 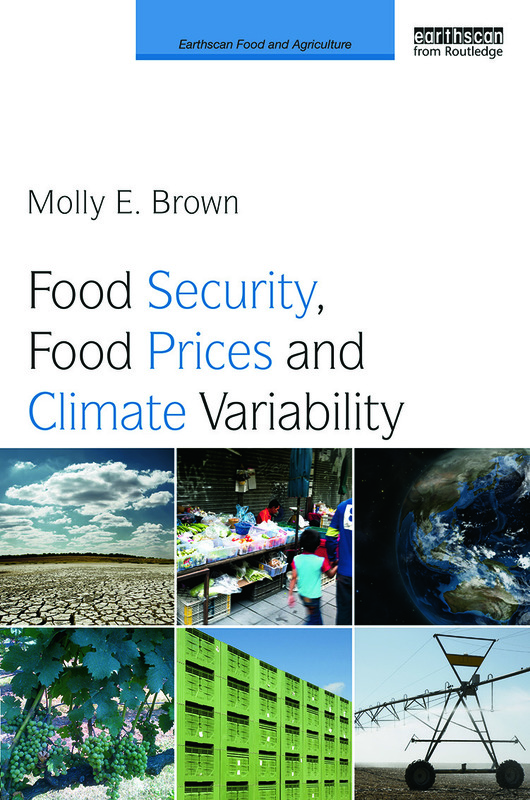 The author reviews environmental, economics and multidisciplinary research to describe the connection between global environmental change, changing weather conditions and local staple food price variability. The context of the analysis is the humanitarian aid community, using the guidance of the USAID Famine Early Warning Systems Network and the United Nation’s World Food Program in their response to food security crises. These organizations have worked over the past three decades to provide baseline information on food production through satellite remote sensing data and agricultural yield models, as well as assessments of food access through a food price database. These datasets are used to describe the connection, and to demonstrate the importance of these metrics in overall outcomes in food-insecure communities.